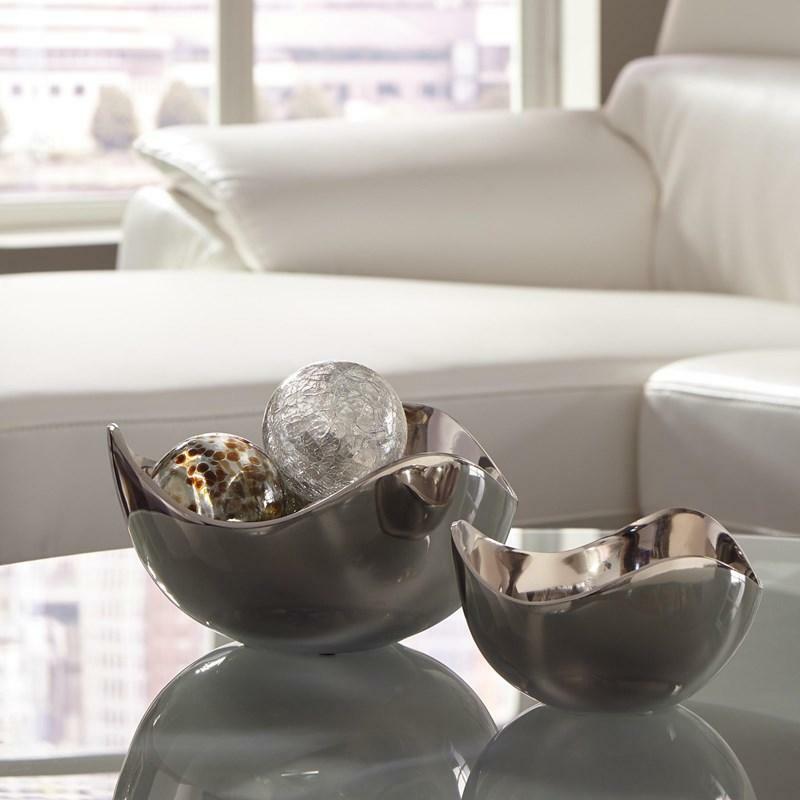 Infuse a curvy and sleek vibe into your home with the Donato 2-piece bowl set. The silhouettes have such an enticing rhythm. Chrome-tone finished metal is fashion-forward, elevating the contemporary ambience. 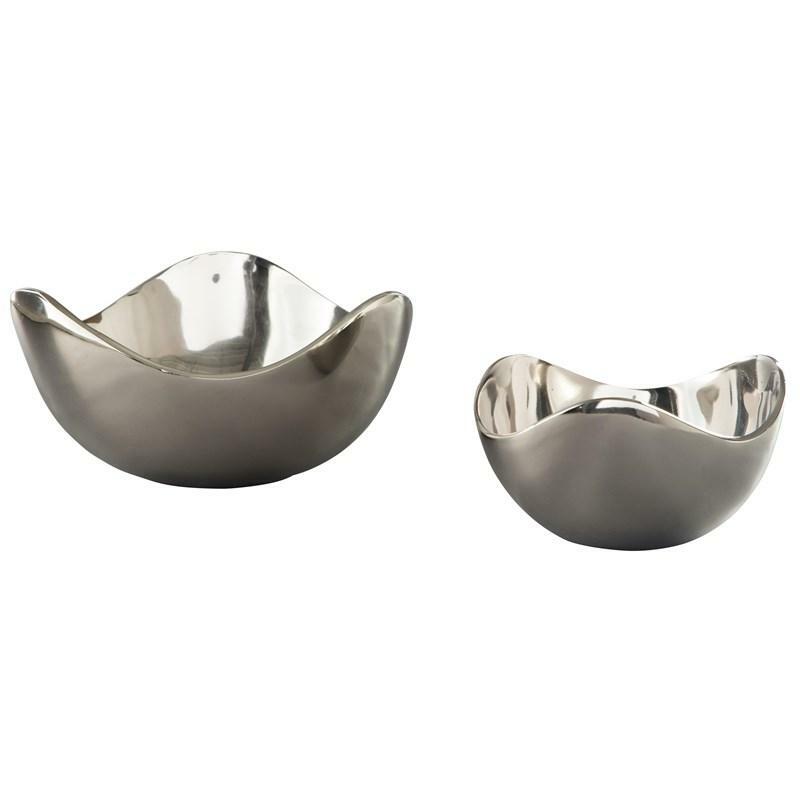 Fill them with quick bites for stylish entertaining and dinner parties. Volume 0.41 cu. ft. / 0.01 cu. m.